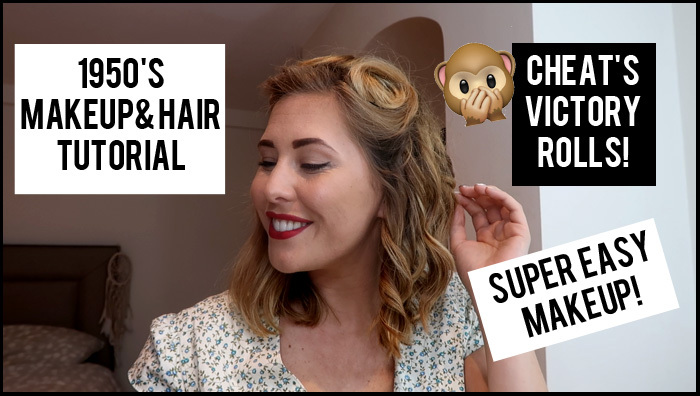 How to do victory rolls and an easy 1950’s makeup tutorial for your vintage fancy dress party! Beginner friendly easy vintage makeup look with winged liner and red lips. Plus a super simple tutorial for easy victory rolls!